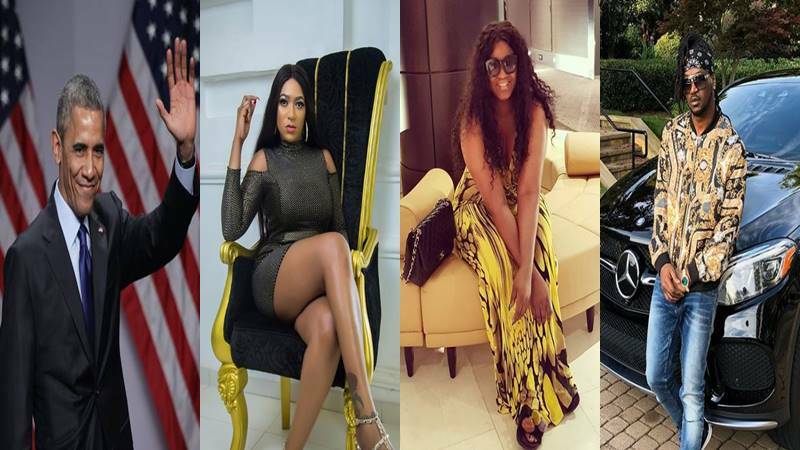 Omotola, Paul Okoye, Monalisa Chinda Support Actress Rukky Sanda’s Motion To Hire Barack Obama To Rule Nigeria For The Next 8-Years – Actress, Rukky Sanda took to her Instagram page to move a motion to hire former US president, Barack Obama to rule Nigeria for the next 8 year. And, a lot of people are backing her up. 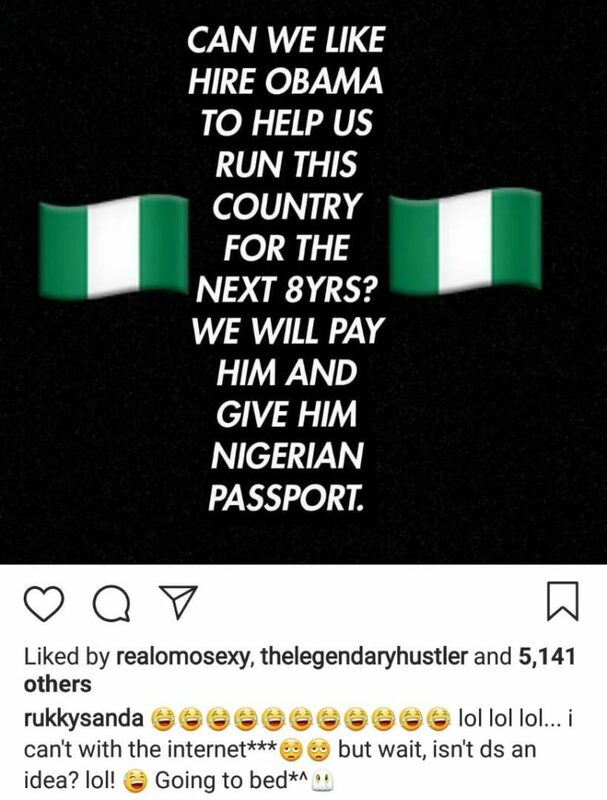 Fellow actresses Omotola Jalade-Ekeinde, Monalisa Chinda, and singer Paul Okoye, all buy the idea even if it means Nigeria has to pay him. 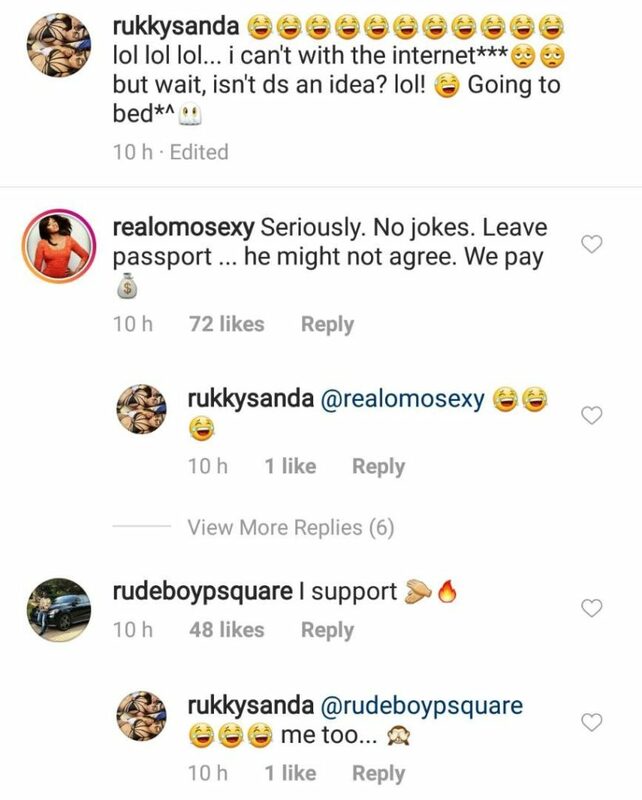 A lot of people are now reacting to the post which was meant to be just for laughs.